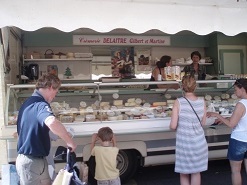 What a pleasure and delight it is to wander around a French market when you are on holiday, taking in all the colourful sights, wonderful smells and different sounds. One of the best things about them, is that they have not really changed much in years. 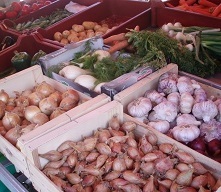 Every market is slightly different, which is part of its charm, but usually you will find a good range of beautifully displayed, seasonal quality local fruit and vegetables at lower prices than at the supermarket. 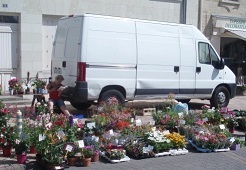 We now have our own little Sunday morning market in Le Puy Notre Dame, selling mainly fresh local organic produce. 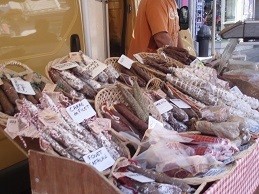 You will also be able to buy a range of local meat, possibly also fish and cheese. 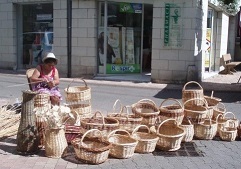 It is also a great place where the locals meet and catch up on any gossip. 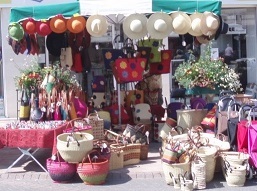 Here is a list of when the local markets are held, most of which are less than an hour’s drive away.